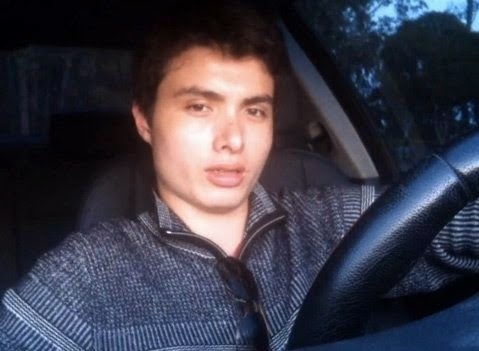 CRIME, GUNS, AND VIDEOTAPE: Lies and a Cover-Up Now Surround the Killings Committed by Elliot Rodger as Leftists Shamelessly Use this to Promote Their Political Agenda. Lies and a Cover-Up Now Surround the Killings Committed by Elliot Rodger as Leftists Shamelessly Use this to Promote Their Political Agenda. Isla Vista, CA—Elliot Rodger was under the outpatient care of a psychiatrist. His cadre of mental health professionals allowed Rodger to roam free despite his numerous and very public threats to harm innocent women. When they finally tried to intervene it was too little and too late. Rodger had steadfastly refused to take his prescribed anti-psychotic medications. Instead of institutionalizing Rodger his keepers knowingly let this time bomb walk our streets. Rodger’s family repeatedly did all they could to warn police of the very real danger. We’ve yet to hear their repeated 911 calls they made in effort to get police to have Rodger picked up for a 5150 psychiatric hold and examination. Police finally contacted the troubled lad and then simply failed to actually investigate and do their job. California has some of the most onerous gun bans and restrictions found anywhere in the USA. No sale or transfer of any firearms can take place without waiting periods and comprehensive background investigations of the purchaser. The Santa Barbara Sheriff, Bill Brown falsely and outrageously claimed to the media that the sale of and subsequent registrations of three 9MM handguns to Rodger was lawful. The fact is Rodger lied on the BATFE gun purchase #4473 forms about suffering from mental illness. More importantly California’s Department of Justice failed to flag and prevent Rodger’s gun purchases over his serious mental health disqualification. Each of the Rodger’s three lies on the #4473 form should have resulted in felony arrests and the penalty for each violation would put Rodger away for 10 years in federal prison for each purchase! When the massacre began, Rodger used simple knives to murder three young men at his apartment. Next Rodger used his BMW as a deadly weapon to maim four other people. Finely he used a gun to kill two young women and a man. A gun was apparently Rodger’s last choice to use as a weapon. The laws that effectively keep the non-permitted, law-abiding people from carrying guns did not stop Rodger. Gun laws never stop criminals. There was no knife or automobile prohibition and the three dead stabbing victims or those run down by Rodger's car are no better off. Of course the political Left is again using this preventable deadly crime spree as an excuse to demand more unconstitutional gun bans despite the fact that California authorities simply did not enforce the laws already on the books. California politicians made the entire state a Gun Free Zone. That assured Rodger that nobody could effectively resist his deadly crime spree. Thankfully in two separate cases the Ninth Circuit U.S. Court of Appeals has recently shot down the state’s ban on concealed weapons. Soon intended victims or other lawfully armed citizens will be able to stop armed maniacs like Rodger. The victims of Rodger’s violence including his own parents have a lot of people to sue over this horror story. They have a huge medical malpractice over the failures of Rodger’s cadre of Psychiatric professionals. They have a equally huge claim against the Santa Barbara Sheriff’s Department for their failure to take proper action on the frantic efforts of Roger’s father and others warning them of the pending massacre. Last but not least, California’s Department of Justice must be brought to book for mistakenly approving the illegal firearm transactions. Yes, officials have a lot to hide right now as taxpayers are sure to be paying millions to anyone victimized by Rodger’s rampage. In the end we must remember that this maniac was stopped by armed men and women risking their lives to protect us all. Yes, guns save lives. Was he ever diagnosed by a doctor as suffering from mental illness? If not, doesnt that make the gun purchase legal? He was under constant treatment ans prescribed medication for years. He was diagnosed and a probited possessor in every sense!